Side dishes can get a little humdrum after a while. The same veggies, the same carbs, and the same salads. In an effort to add more variety, I’ve been trying out some new side dishes for dinner. Some things haven’t been received so well by the family, but these Five Cheese Hash Brown Cups made with Simply Potatoes® Shredded Hash Browns were a hit! Most nights of the week there are two rules to the meals I make. Easy, and yummy. Simply Potatoes makes that happen at breakfast and dinner. 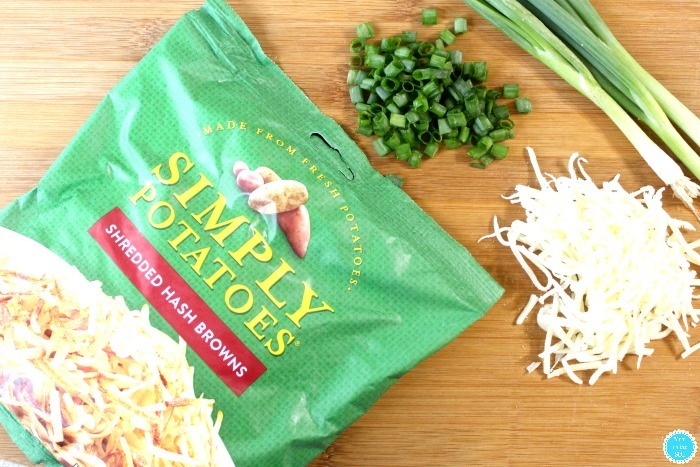 Simply made with always fresh, never frozen potatoes that go from farm, to fridge, to fork. 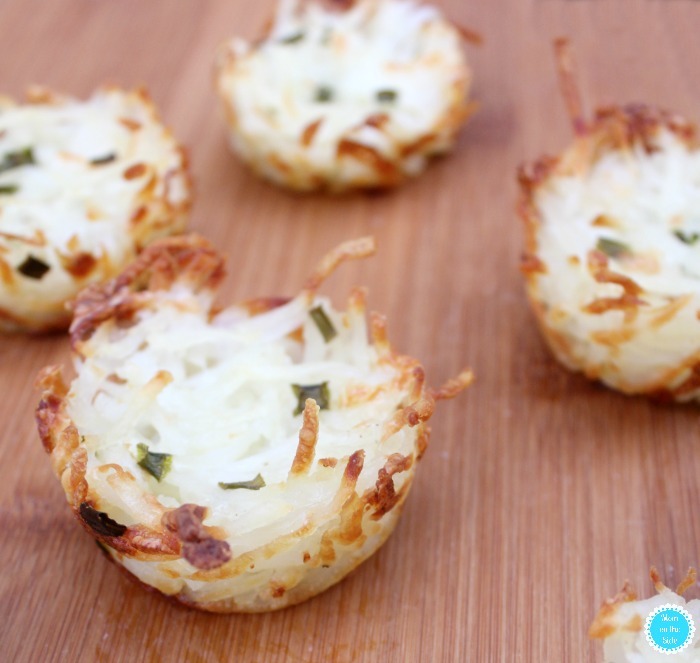 Now grab that fork and dig into these Five Cheese Hash Brown Cups that pair nicely with chicken breasts or steak! 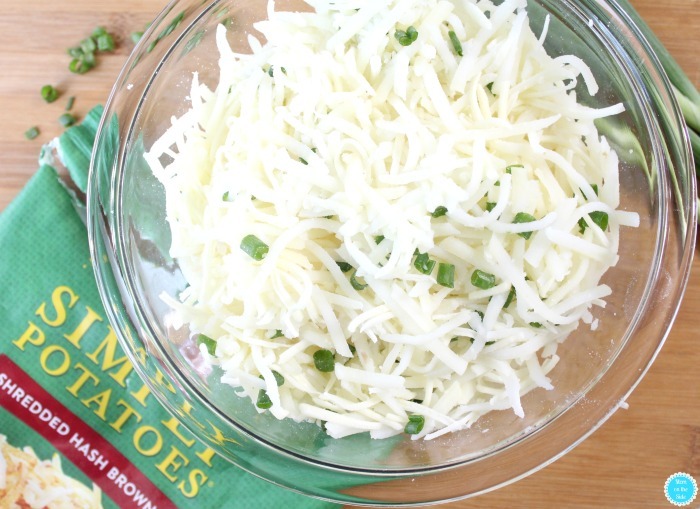 All you need to do is toss a bag of Simply Potatoes Shredded Hash Browns in a bowl with a cup of shredded five cheese blend, and a handful of diced green onions. Mix that all together with a little olive oil, salt, and pepper. Then fill a cupcake tin with the mixture and smush it down into each cup. Toss them in the oven at 350 for 45 minutes, or until golden brown and cooked through. Once the hash brown cups are done, use a knife to work around the edges and pop them out of the pan. They are super easy to make and there are tons of combinations. Diced bacon and cheddar, parmesan and chives, chopped up ham and gouda, and the list goes on. 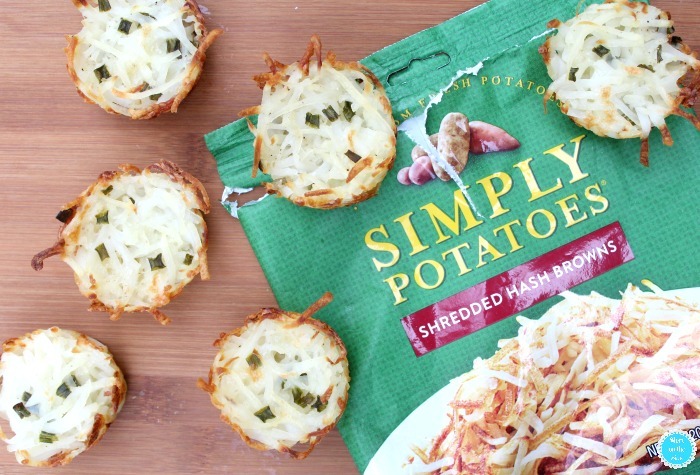 Simply Potatoes is available in shredded hash brown, sliced potatoes, and diced potatoes. All made with fresh ingredients and bold flavors for AM and PM meals. Find them in the refrigerator section at your local grocer. 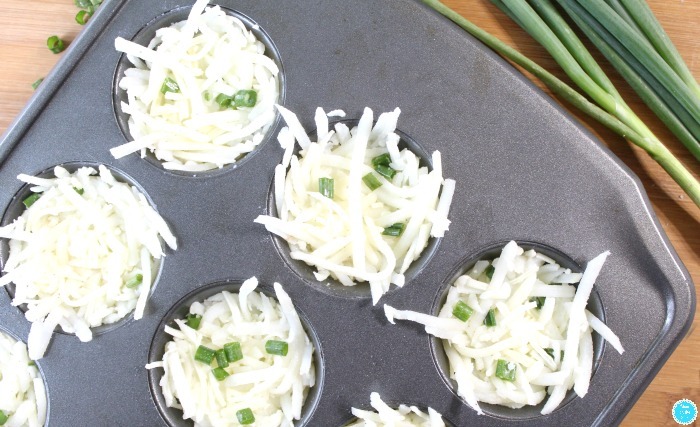 Pin these Five Cheese Hash Brown Cups for later! Love the cheesy goodness in these! I also love the crispy edges! This is awesome! It’s easy and delicious, Sometimes you just want to make something that’s easy to prepare and won’t take much time and this is it! Thank you for the recipe, . If it’s ok with you, I will share on my social channels, as I’m sure my audience will love it as much as I did!